NEWKON Embosser 110-45 - Technology Unlimited, Inc.Technology Unlimited, Inc. 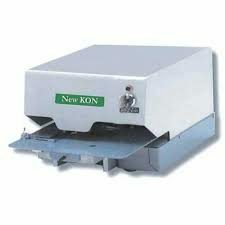 The NewKon 110-45 electric embosser is ideal for government, counties, cities, universities and corporations. This embosser will prevent possible alterations or forgeries of all your important documents.